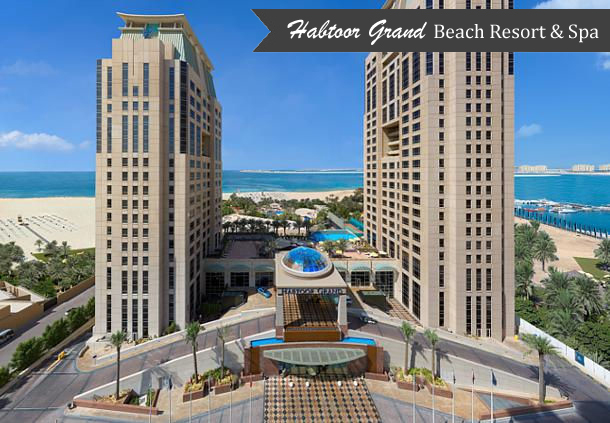 Located on Dubai’s Jumeirah Beach, the stunning Habtoor Grand Beach Resort & Spa is ideal for couples looking to combine an idyllic beachfront ceremony with a glittering after party. 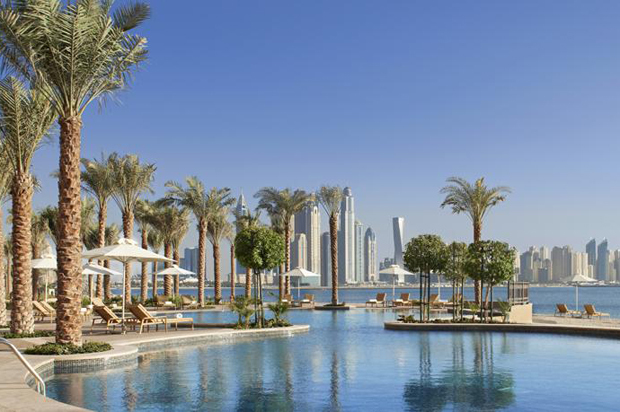 This luxurious 5-star hotel boasts stunning views and has two large gardens and a private beach areas for couples looking to exchange vows with the ocean lapping at their feet. 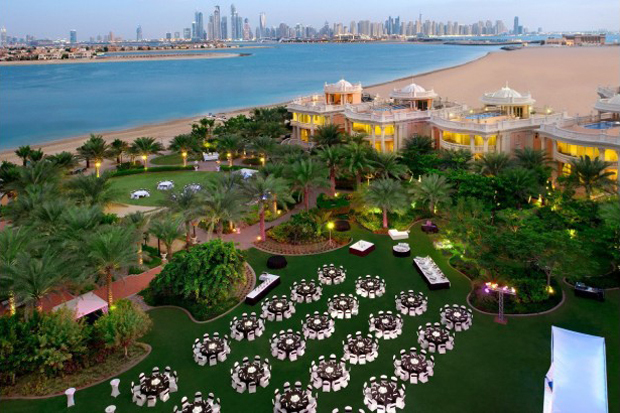 If you’re looking to make the most of Dubai’s amazing weather, you can continue the celebrations outdoors or if you’re after a glamorous setting to finish the night in style, their magnificent ballroom can accommodate up to 1,000 guests. 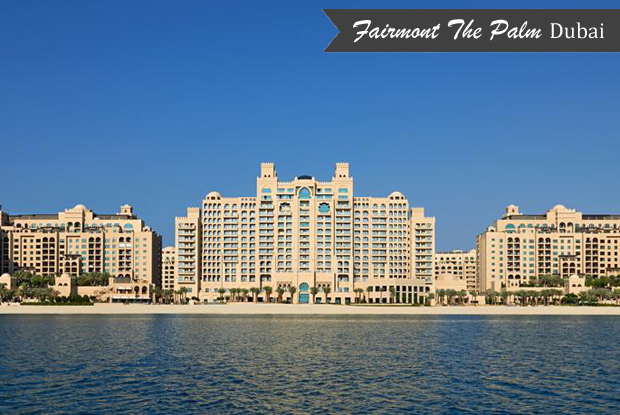 Named after Dubai’s iconic Palm Jumeirah, Fairmont The Palm is located on the world’s largest man-made island shaped in the form of a palm tree. 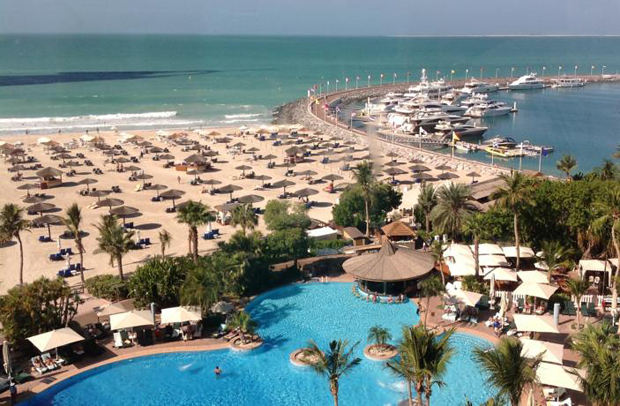 This luxury beachfront Dubai resort offers picturesque views of the Arabian Gulf and is an idyllic setting, not far from Dubai’s main attractions. 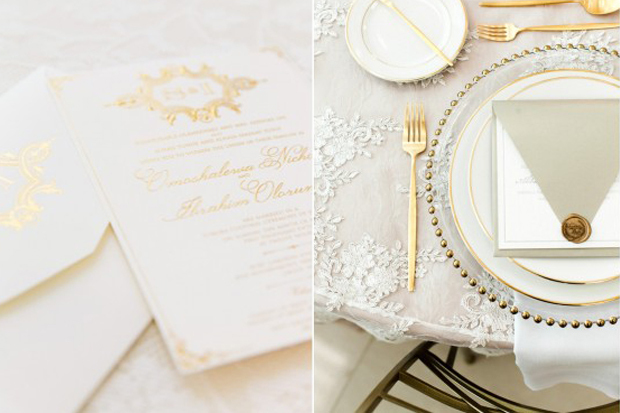 Whether you’re looking to host an intimate, private affair or lavish large scale bash, this 5 star resort can cater for it. 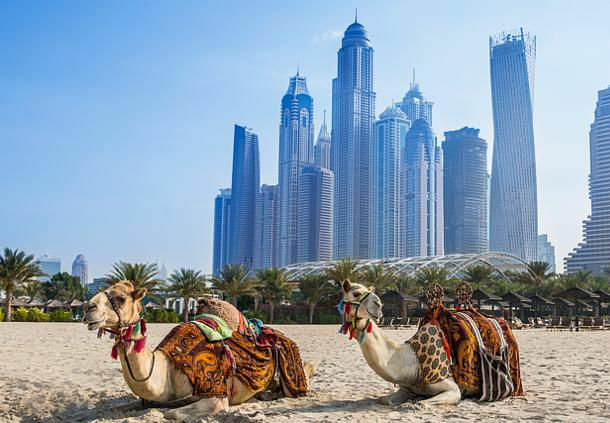 Choose from a magical outdoor Sea View Garden with the fab Dubai Marina skyline as your backdrop, the Arabesque-themed Palm Courtyard or those looking for the wow factor, will love all the Palm Ballroom has to offer. 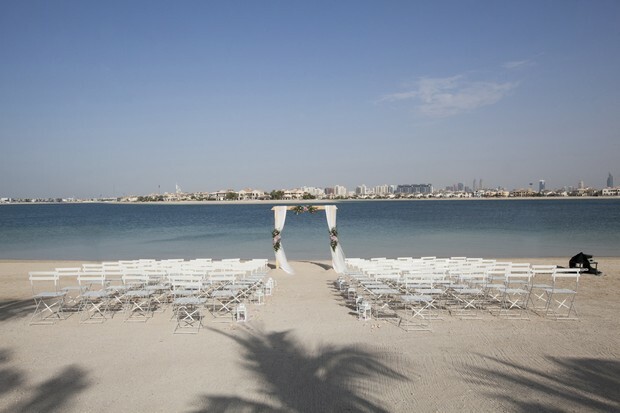 If you’re after an impressive backdrop for your Dubai wedding, the Kempinski Palm Jumeirah, which boasts incredible views of the Arabian Sea and the outstanding Dubai Skyline, has it all. Couples dreaming of a laid back outdoor celebration can say ‘I do’ beside the sea on their magical private beach. Or if you love your flowers, their grand garden area makes an equally romantic setting. Couples looking to toast their new marriage with family and friends for the evening in intimate surroundings can do so in the privacy and splendour of one of their fabulous penthouse suites or villas as well. 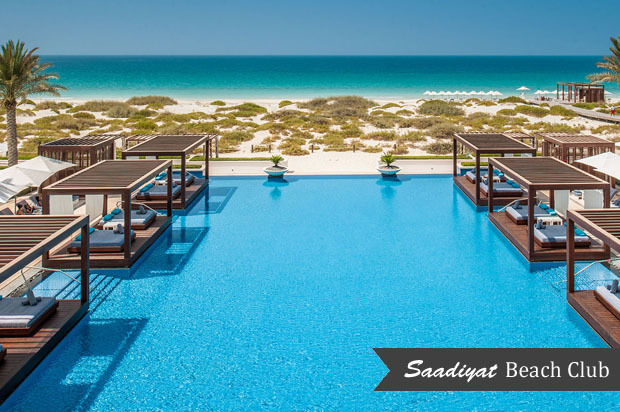 Perched on the sparkling shores of the Arabian Gulf, Saadiyat Beach Club is a spectacular backdrop for couples dreaming of a secluded, waterside wedding celebration. The hotel is a perfect blend of natural beauty and modern design and can cater for weddings large or small. 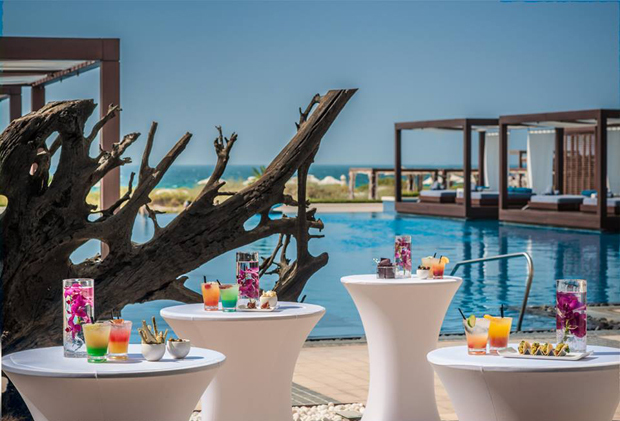 The hotel’s beautifully manicured gardens and the idyllic beachfront location offers couples a picturesque backdrop for memorable wedding photos while the hotel’s stunning interiors and incredible panoramic views will be a big hit with guests. 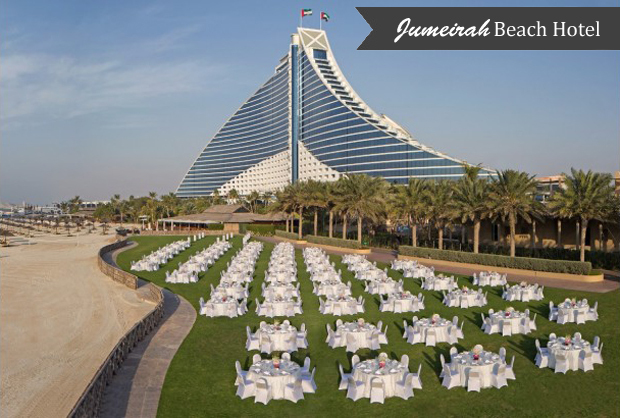 If you’re after a private beachfront setting for your Big Day, the stunning Jumeirah Beach Hotel will tick all your boxes. Couples can enjoy a romantic blessing on the beach followed by a celebratory reception in the beautiful surroundings of Villa Beach, the resort’s exclusive beachfront restaurant. Couples who want to exchange vows al fresco will also love their pretty garden setting which boasts spectacular views of Burj Al Arab. Or if you’re after a glamorous space to continue the celebrations, guests will be uber impressed by the lavish Safinah ballroom.